UPDATE: Please check with the Forestry as to what ATV Routes and Trails are opened up. 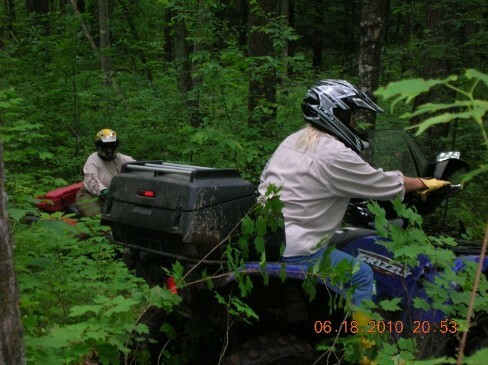 At Elk Country ATV Club we know your free time and leisure activities are important. 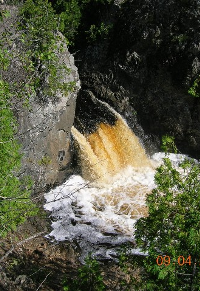 We offer a diverse range of services to meet the cultural, entertainment and recreational interests of our customers in the Clam Lake, WI area. 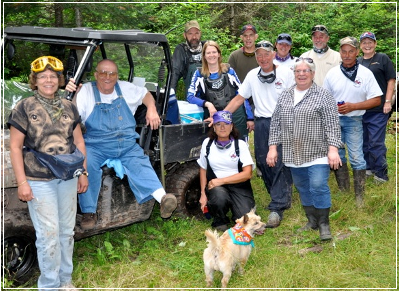 Whether you are looking to meet new friends or just get away from it all Elk Country ATV Club can help. Shed the stress and worry of everyday life and enjoy a fantastic time. Contact Elk Country ATV Club today. We have many miles of trail's to ride on and some awesome scenery. We have all you need right here in Clam Lake, WI so put your worries a side and come and have some fun. We are a non profit organization who work's hard at trying to get new trail's opened and or existing one's fixed up. We have just got a new trail up and going and that is going to be called the Rocky trail. 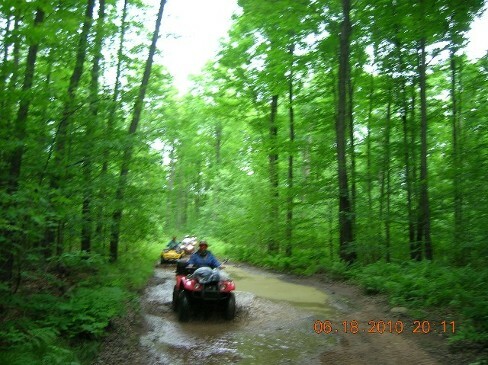 It will let us ATV'ERS ride from the Clam Lake area over to the Moose lake area. We work with the Forestry when needed and or the DNR which means it can be time consuming our time some times but it may take a lot of red tape sometimes. We encourage people to come to our area as we have some of the best ATV trail's around and we have a lot of beautiful scenery up here. The Elk Country ATV Club is a member of the Wisconsin ATV Association and we try to put a yearly add in the WATVA Trail Tales Magazine. This usually is information on upcoming events like our annual fishing contest, brat feed fundraiser and rides. We have accomplished a lot in the last couple years as we have donated many signs for the trails going to and coming from Lake Namakagon. We have also had some work done to our main trail coming in to Clam Lake and going out. Many rocks have been taken out and a few bad water holes have been filled in. We hope we can keep this type of help up as this is one of the only way's we can continue to keep our trails decent. As a club, we usually do three rides a year. 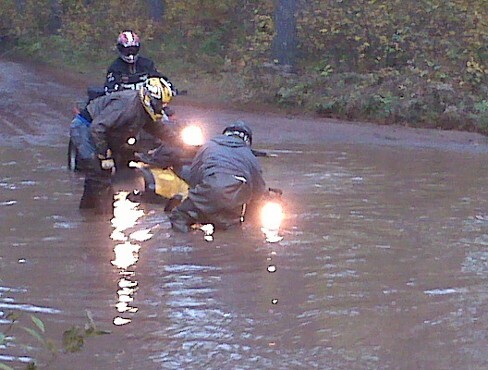 Our first one is alway's in June and is our overnight ride. We leave Clam Lake on a Saturday mourning and ride for the day to our destination, spend the night and ride back the following day. 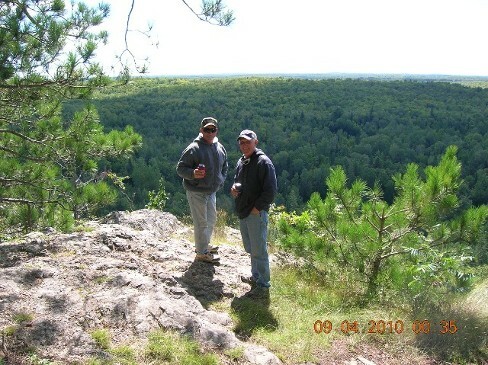 We have rode to White Cap Mountains, Ironwood, Michigan, Lake Superior and other's. We alway's have a great time and sometime's we are fortunate enough to see some bear, deer or other critter's. One year we actually seen a sow bear with four cub's which was very cool for us, but Momma bear didn't like it to much as we all just stopped to take pictures! This picture to the right was the Can Am that we raffled off in 2009. The water hole that he is in is on trail #77 which is one of the holes that has been filled in now. He decided to take the middle and it was like quick sand. Our second ride for the year is alway's in July and is a day ride. 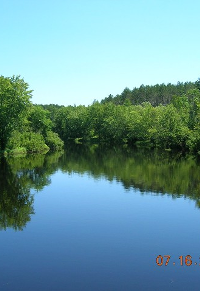 We leave Clam Lake in the mourning and take a nice day ride and return around three and do a cook out at the president's home with food and drink's on the club. August is alway's the month we do a brat feed fundraiser. We set up a tent right in town and sell brat's, beer and our ATV tickets for our Ice fishing contest in January. Our last ride of the year is in September or October depending on what we decide to do. I will add more information for this ride when we as a club know for sure what we want to do this year. The picture to the right is from the Penokee over look. It is an awesome view that seems to go on forever.